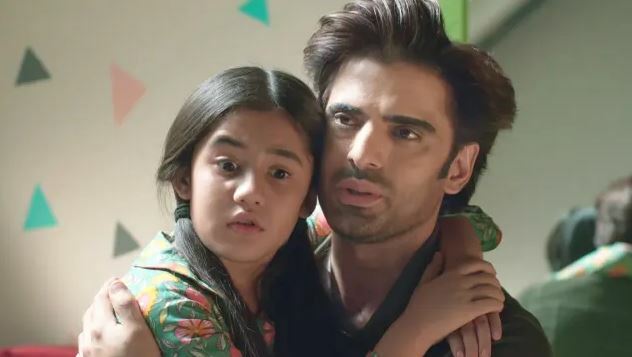 Kulfi Kumar Bajewala Coming up: Sikandar is in big shock over Kulfi’s gang, the kids from the remand home, who is searched by the police. Sikandar feels he had felt Kulfi when he visited the remand home. Sikandar and Lovely’s broken relation suffers more when he confronts her about lying about Kulfi. He is disheartened that even Mohendar didn’t care to tell him the truth. Sikandar wanted to fulfill Amyra’s dying wish and parted ways with Kulfi, securing her at Mohendar’s place, but he didn’t know that Kulfi has run away by choosing loneliness. Sikandar feels shattered once again. Kulfi faces much criticism in the singing competition. 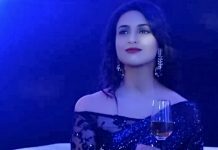 She gets a boost from Mia, who wants her to reach the finale at any cost, just to expose Sikandar and her blood relation in front of the audience on her show. Mia doesn’t know the consequences of her spice story, since she just sees her profits. Will Kulfi finally get Sikandar’s name by Mia’s move? Keep reading. Happy is much disheartened after Shaan snatches the Golden View hotel. She tells RV that she can’t live without her dream hotel. RV consoles her. He asks her not to break down this way and make her enemies succeed. He asks Happy to be strong so that they can clear their mind and think of some way. RV expresses his feelings for Happy. Happy gets pacified by him. She breaks the moment created between them. Rocky tells Simmi that he has to teach a lesson to Happy and RV. He has less time to get the evidence against him. He is angry and frustrated that Happy didn’t believe him. She didn’t show any faith in him and drawn him mad. Rocky had many expectations from Happy. When Happy alienates herself, Rocky feels disgusted. He wants to give it back to Happy and RV. 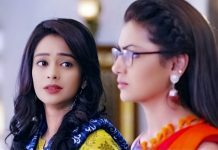 Rocky tells Simmi that Sania and Bhatia have some evidence related to the case, by which they are blackmailing RV. He wants to ruin all his enemies, who had ruined his life by forcing wrong blames on him. He is very much revengeful. He wants to prove his innocence and also get justice for himself. Simmi knows her brother is innocent and wants to support him. That critic Pandit Bhave is being paid by hateful Lovely to emotionally abuse Kulfi and the gang? !